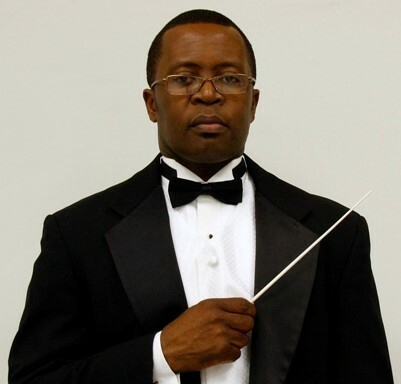 James O. Seda is currently the Director of Bands at Southwest Dekalb High School. He is a product of the Atlanta Public School System, having graduated from Southside Comprehensive High School. Mr. Seda received his Bachelors of Science Degree in Music Education from Florida A&M University. While there, he studied conducting with Dr. William P. Foster and Dr. Julian E. White. He also studied trumpet in the studio of Dr. Marty Robinson. Mr. Seda has done further studies in the Masters of Music Education Program at Northern Illinois University in Dekalb, Illinois. Mr. Seda has been the Director of Bands at Southwest Dekalb High School since 2001. Prior to that he served as Assistant Director of Bands at Chapel Hill Middle School for two years, the primary feeder school to Southwest Dekalb High School, also assisting with the band program at Southwest Dekalb simultaneously. Bands under Mr. Seda’s leadership have featured in the movie “DRUMLINE”, and as exhibition band at the Bands of America Grand National Championship, marched in the 2006 and 2011 Tournament of Roses Parade in Pasadena, California, had it’s own reality TV show called “DRUMROLE:SWD” on Peachtree TV, filmed for and will appear in the new TV show “The Quad” on BET in addition to several local and national festivals and parades. They have also performed at the Music for All National Concert Band Festival, the 2009 and 2016 HBCU Band Directors Consortium, the 2011 and 2017 University of Georgia January High School Band Festival (JanFest), the 2012 GMEA In-Service Convention, the 2013 Troy University Southeastern United States Concert Band Festival, and the 2012, 2014 and 2016 Kennesaw State University Invitational Concert Band Festival. Mr. Seda is a member of Kappa Kappa Psi National Honorary Band Fraternity, Phi Mu Alpha Sinfonia Fraternity, Minority Band Directors National Association, Phi Beta Mu International Bandmasters Fraternity, Alpha Phi Alpha Fraternity, the Screen Actor’s Guild, International Trumpet Guild, MACE and NAACP. Mr. Seda has been recognized and honored by Who’s Who Among America’s Teachers multiple times. Mr. Seda is a four time recipient of the Citation of Excellence award from the National Band Association. While attending Florida A&M University, Mr. Seda was a very active performer, soon earning the principal trumpet chair in the FAMU Wind Ensemble and Symphonic Band, and the lead trumpet chair in the FAMU Jazz Ensemble. As a member of the world famous ‘Marching 100’ Mr. Seda served as trumpet section leader for two years, as well as being elected business manager, vice-president, and president in consecutive years. Mr. Seda has performed in Paris, France, The Montreaux Jazz Festival in Montreaux, Switzerland and the North Seas Jazz Festival in The Haag, Holland. He has also performed in St. Thomas, Virgin Islands and Jamaica. Television and radio features are also to his credit as CNN displayed his talents in a television documentary on the life of jazz musician Jesse Stone. He has done studio sessions for television and radio commercials, as well as short films and movies. Mr. Seda worked on the 20th Century Fox motion picture DRUMLINE as a music arranger, band organizer, creative consultant, instrumentalist, and actor extra. Mr. Seda and his wife, Jennifer, who is also a band director, live in Ellenwood. They are proud parents of two cats (Mary and Six-Toes) and a German Shepard Dog (Apollo). He maintains an active performance schedule, appearing in venues throughout the United States.